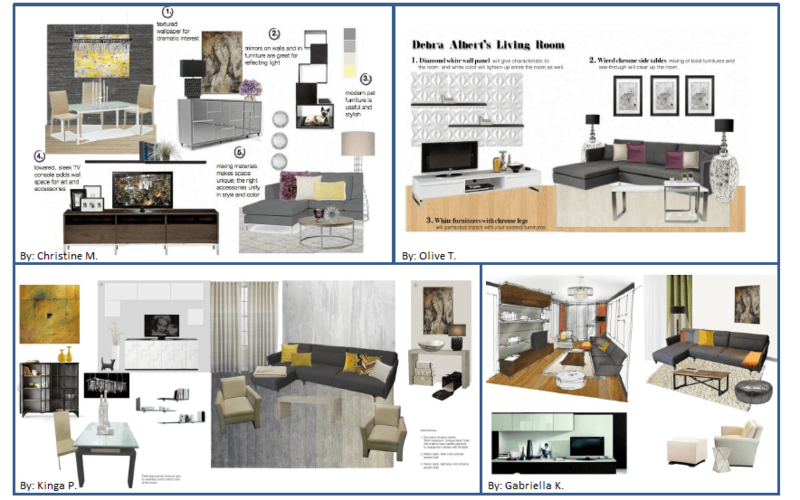 Once the project was launched, Debra received eight design proposals from professional interior designers. She had fun viewing the varied design ideas and imagining her living room possibilities. After receiving all of the design concepts, Debra chose a design team. Two designers collaborated together to e-design a fresh approach for Debra’s space. With Debra’s preferred colors in mind, a gorgeous, original piece of artwork found on Zatista was selected to showcase above her new sofa. From there, a color palette emerged and decisions were made on finishes that would complement the space further. 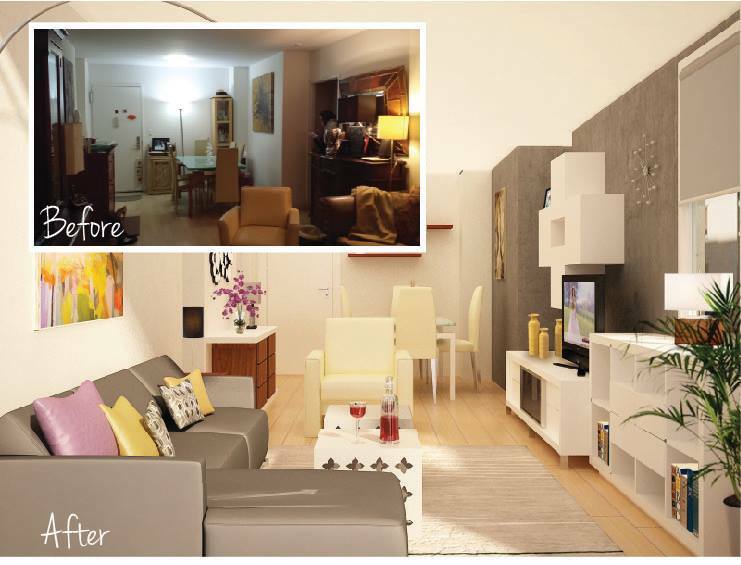 Debra was thrilled to see her space as a 3D realistic rendering. She never dreamed her space could look so good on such a budget! In addition to this, Debra’s designer was able to offer Debra exclusive discounts on every single product with exclusive Decorilla coupons for her shopping list items, totaling over $1,600 in savings. At only $395 for the full e-décor package, Decorilla paid for itself four times over! Her carefully curated shopping list included items from top companies such as Viesso, All Modern, and Lazzoni. Accessories such as the sleek Kailua Stools from Zinc Door, and the Ashton Sutton Multi Mirror Wall Unit from Wayfair added modern flair at an affordable price. Check out the full transformation on www.decorilla.com!